If you can easily attribute the quote, "Hi! I like shorts! They're comfy and easy to wear!" then you were likely one of the millions of kids who have caught, trained, and battled the mini-monsters of Pokémon Red Version and Pokémon Blue Version. Since the games’ 1998 North American launch, the Pokémon series has racked up six generations of games, more than 600 monsters, and sold 270 million units, so there are a few things about it that even Professor Oak might have missed along the way. The title Pokémon is a contraction of the romanized Japanese brand name Pocket Monsters (Poketto Monsutā), and also the word for the little beasts. As with most Japanese nouns, which are typically modified for number by preceding ‘counter words,’ the singular and plural versions of Pokémon are identical (as in, “Billy has 249 Pokémon; alas, I only have one Pokémon”), and the singular/plural for species names are interchangeable, too (“I’ll trade you one evolved Pikachu and two Bulbasaur for two non-evolved Pikachu and 1,000 Mewtwo”). In the same interview, TIME asked if Tajiri made his insects fight one another, to which he responded, “No, but sometimes they would eat each other.” For his own Pokémon universe, Tajiri also made sure that battling creatures would never bleed or die, but rather just faint when defeated. As Kotaku points out, U.S. players came close to getting muscular versions of Pokémon instead of the regular, cute versions we know and love. Current Nintendo president Satoru Iwata says that the idea for muscle-bound monsters was an attempt to speak to American gamers. Luckily, American players were perfectly happy to accept the cute fighters, divergent as they were from the then-status quo of kids’ toy culture. 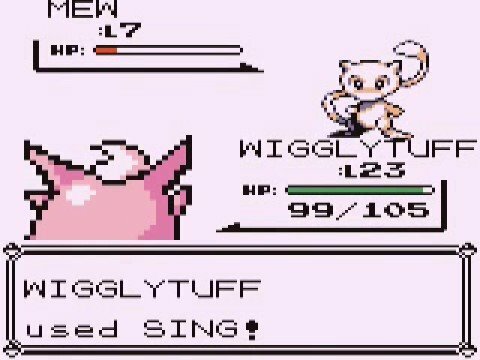 In Pokémon Red and Blue for Game Boy in the U.S., there are 151 different monsters, but their collective cries only contain 37 unique sounds in total. Many of the cries were adapted for different Pokémon by changing their speed or pitch, but several monsters, including Charizard and Rhyhorn, are simply vocal twins. 5. ... AND WHILE THE BOX PROMISED 139 POKÉMON, YOU COULDN’T CATCH MORE THAN 124. The Game Boy packaging for first-generation Pokémon games told players that they could round up 139 different characters without needing to trade. However, gameplay requires players to choose between certain character families, so—when excluding starter and Fossil families, and a couple of trading-based evolved characters, as well as glitches—the maximum number of Pokémon attainable in an adventure is 124. Using a Link Cable for Game Boy, Pokémon players were suddenly able to trade uniquely trained and developed characters with one another, a kind of information sharing not previously available to home gamers. As 1UP.com reported, Tajiri explained, "I imagined a chunk of information being transferred by connecting two Game Boys with special cables, and I went wow, that's really going to be something!" The Pokémon team followed up this game-changing tech, which was a late-in-life achievement for the Game Boy system, with the Nintendo 64 Transfer Pak hardware for Pokémon Stadium, which allowed players to use their own characters (trained and toned via Game Boy) on the big screens of their TVs. 7. ... PERHAPS SETTING A PRECEDENT FOR THE CARD GAME’S MASSIVE SUCCESS. 8. IN THE JAPANESE VERSION, THE OLD MAN IS SECRETLY DRUNK. 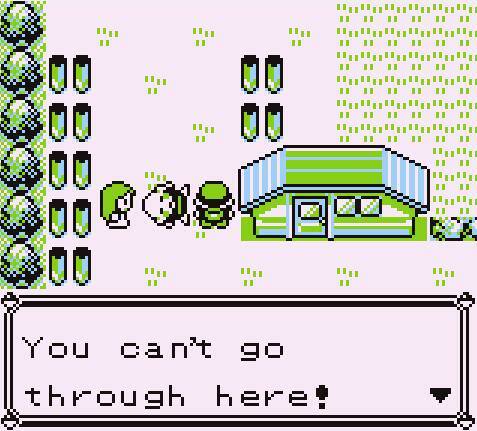 If you played Pokémon Red and Blue, you may remember an old man in Viridian City (his character name is “old man”) who blocks your way to Route 2 while grumpily demanding his morning coffee. The character was placed there as a barrier, making sure players complete certain tasks before proceeding. In the Japanese version of the game, the coffee serves not to fill his daily caffeine fix but rather to sober him up (after which he can usefully teach a player needed skills). 9. THE FIRST POKÉMON GAMES WERE SUPPOSED TO HAVE A FEMALE TRAINER. During development of the original Red and Green releases, designers planned to include a female trainer with the games’ two male ones. She didn’t make it into first-generation Kanto (though she’s featured in the games’ strategy guides and artwork) but reportedly became the character “Green” in Pokémon Adventures comics and “Leaf” in the remakes FireRed and LeafGreen. Among the most mysterious of all Pokémon, Mew is rumored to be the ancestor of (or involved in the ancestry of) all other Pokémon, is the only genderless Pokémon to learn to Captivate, is from Guyana, and reportedly was trademarked on March 31, 1994 (with an application date of May 9, 1990)—despite the fact that Pocket Monsters itself wasn't trademarked until December 26, 1997. Programmer Shigeki Morimoto claims he snuck Mew into the game at the eleventh hour. Two weeks before the first Pokémon titles were released, he’s said, he added the infamous feline to the game unofficially in a remaining parcel of space, even though the production team had already completed its final checks. As a result, players could collect the secret Pokémon using an in-game glitch through a few different methods. 11. ...AND MAY HAVE TWO CLONES (ONE OF WHICH PRECEDES IT IN POKÉDEX). Mewtwo, listed as #150 in the Pokédex character roster, is a clone of Mew, who took the #151 spot as a secret Pokémon. However, fans have also speculated that Ditto—another genderless Pokémon that weighs the same as Mew, has the same base stats, has near-identical coloring, and can also Transform innately—is a "failed" clone of Mew. Ditto is also known to hang out with Mewtwo and on Cinnabar Island in a mansion where Mew was supposedly experimented on. Nintendo had turned down the plans for Pocket Monsters—first called Capsule Monsters while in development by Tajiri at Game Freak—several times before Shigeru Miyamoto (of Mario Bros., Donkey Kong, Legend of Zelda, and Star Fox fame) got involved and became a proponent of the game. Once Nintendo was on board, the team had the funding to see development through. 13. ... BUT IT BECAME THE SECOND-MOST SUCCESSFUL FRANCHISE EVER, AND AN ALL-TIME CRITICS’ PICK. 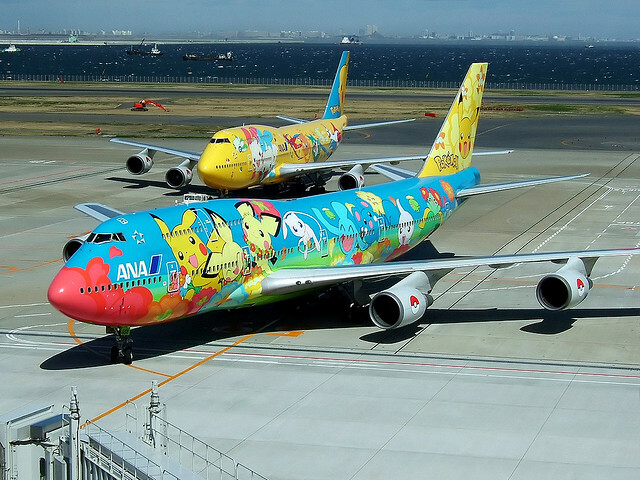 From a financial standpoint, the pint-sized scrappers of the Pokémon franchise have more than pulled their weight. Pokémon is second only to Mario (and right above Final Fantasy) as an all-time top seller, and early games collected the hearts of critics across the board, too. Upon the release of Pokémon Red, the gaming site IGN wrote that the game “isn't just a fad. It's an awesome game worthy of any gamer's Game Boy library,” and that, "Even if you finish the quest, you still might not have all the Pokémon in the game. 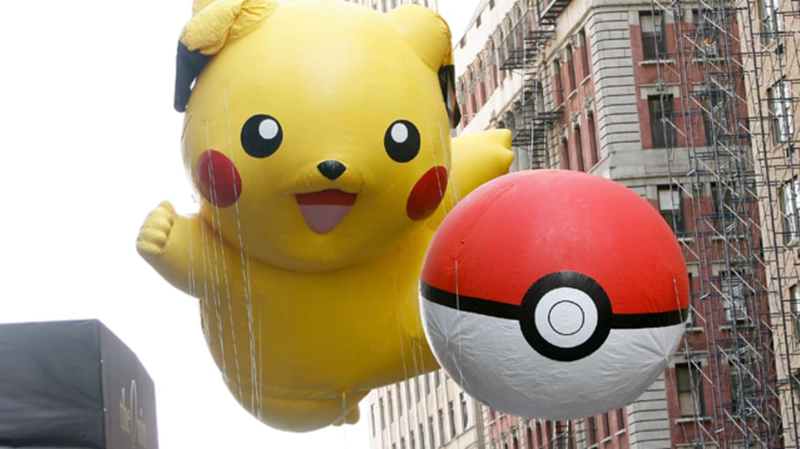 The challenge to catch 'em all is truly the game's biggest draw." In its review of Pokémon Blue, GameSpot noted that "Under its cuddly exterior, Pokémon is a serious and unique RPG with lots of depth and excellent multiplayer extensions” and “easily one of the best Game Boy games to date." 14. TAJIRI NAMED POKÉMON’S RIVAL CHARACTER AFTER HIS MENTOR. To thank Shigeru Miyamoto for his help with and support in launching the game, creator Satoshi Tajiri named the default rival in the first-generation Japanese games “Shigeru” (with the games’ protagonist called, of course, “Satoshi”). 15. 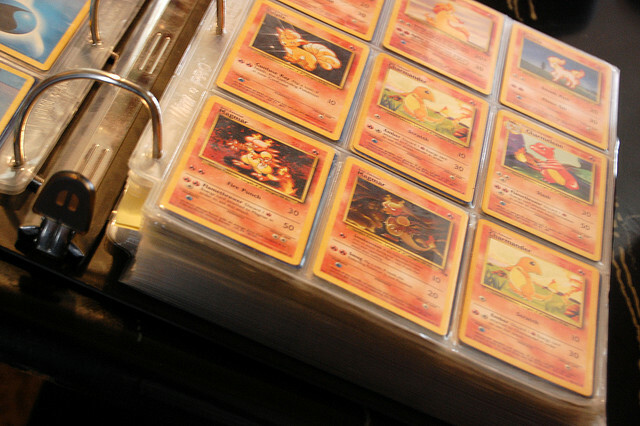 POKÉMON IS STILL A REAL MONEY MAKER—AND WAS ALSO MADE INTO MONEY. Next year, the Pokémon franchise will celebrate 20 years of nonstop mini-monster brawling. During that time it’s churned out not only 270 million game units and 21.5 billion cards in 10 languages, but also 18 international seasons of an animated series, 17 feature-length films, and countless toys and other kinds of merchandise. In all, the monsters have raked in $2 billion. 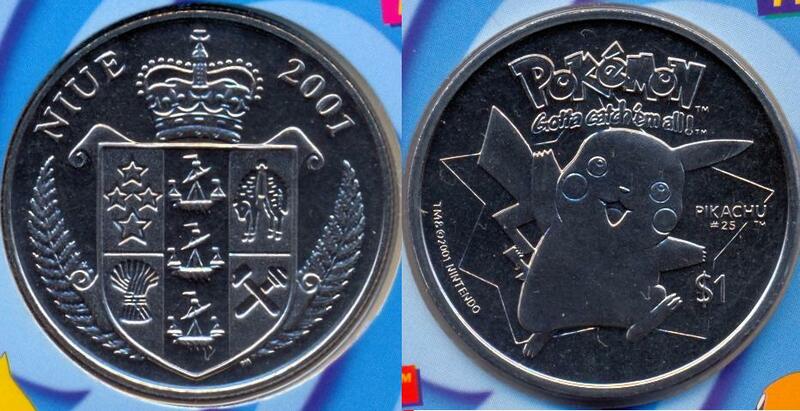 Unlike other bestsellers, however, Pokémon has the rare honor of having been made into actual legal tender. In 2001, the self-governing state of Niue (a South Pacific island nation in free association with New Zealand) printed a special run of $1 coins featuring Pikachu, Meowth, Squirtle, Bulbasaur, and Charmander. Collectors hotly pursue the coins, which sell for $300 apiece or more.